Provato Crosswind A/T is designed for superior off-road performance and comfortable highway driving. Provato Crosswind A/T is designed for superior off-road performance and comfortable highway driving. 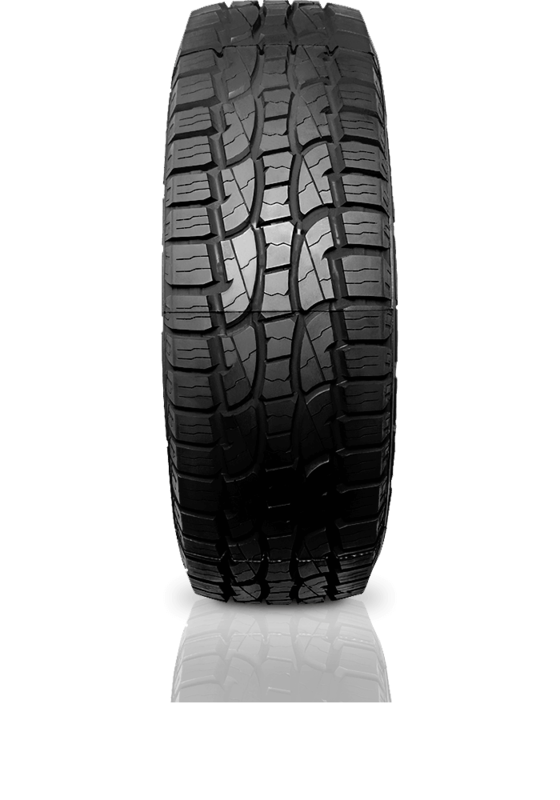 The Provato A/T is a versatile all-terrain tyre with an advanced aggressive tread design to tackle the toughest tracks. The A/T also features outstanding water evacuation in wet or muddy conditions, whilst providing comfort for all surfaces, and value for money.